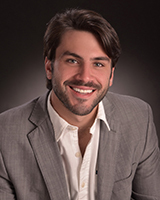 Patrick is a licensed commercial real estate agent and joined Vintage in September of 2018. Prior to joining Vintage, Patrick was working as a professional photographer in the Shreveport Bossier area for the past seven years. He was born and raised in Shreveport and attended Loyola College Prep. He later went on to attend The University of Mississippi, until ultimately deciding to go into photography. Patrick is a member of the local Ducks Unlimited (D.U.) Committee, helping organize yearly banquets. He was also a part of Business Exchange, Inc. (B.E.I.) for six years, a group of local business owners, executives, and decision makers.